Jackson College (Michigan) is an Achieving The Dream (ATD) Leader college. In order to deliver on the school’s promise, “Your Success. Our Guarantee,” Jackson College leaders are breaking ground on developing and sharing new ways to improve educational outcomes for students of color. Despite having high aspirations to earn degrees, male students of color enrolled in undergraduate colleges have the lowest completion rate in the U.S. among all demographic groups. Jackson College is closing this experience gap by using Qualtrics Experience Management to increase student engagement and address adaptive challenges—before students even set foot on campus. When Jackson College opened its Multicultural Center, a place for members of the college’s Men of Merit and Sisters of Strength mentorship programs to connect with fellow students and faculty, it was just one of the many steps the college had taken to provide a supportive environment for students of color. But one of the college’s biggest obstacles in striving to improve the experience was a lack of actionable data about their incoming students. They knew their students’ financial backgrounds and test scores, but little about them as individuals—their life experiences,challenges, and goals. For example, they didn’t know which students would be working full-time while studying, or which students faced obstacles at home. Without these insights, it was difficult to develop proactive action plans for ensuring student success. 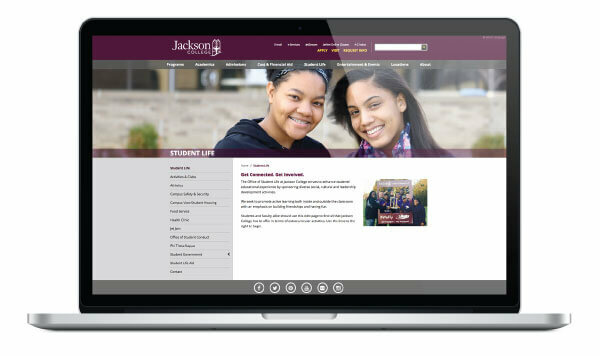 Jackson College needed an experience management platform that could automate traditionally manual parts of the research process and allow the school to understandand connect with students on a deeper level from day one. Qualtrics Experience Management provided Jackson College with a sophisticated,time-saving solution. For example, when a student identifies himself as a male of color (the demographic group with the greatest risk of not completing college) during the college’s enrollment process, he receives an email containing a unique survey link. 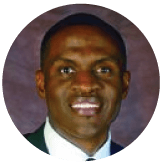 His responses are automatically captured in a “Student Story”, a summary that allows a dedicated mentor and advisor to understand that student’s background, challenges, and aspirations at a glance. Having a more complete picture of the individual from the outset allows each mentor andadvisor to have more personalized conversations and deliver more tailored guidance. From day one, each student knows that their mentor and advisor has a deep understanding of them and a personalized plan for helping them succeed. And the college is now able to devote hundreds of hours that used to be lost in research and interviewing to additional initiatives that are increasing student engagement and retention. Today, Jackson College is leading the way in improving educational outcomes for male students of color, combining their steadfast dedication to this moral imperative with the experience-data-collecting power of Qualtrics Experience Management.